Owned in 1966 by the legendary Mike Hanks, and situated only 15 minutes from Hitsville, this building also looks like a former residence. Prior to this he had operated from 2828 McGraw. That building was famously known as the Pig Pen. Mike was an all rounder on the music scene having been a record company owner, musician, songwriter and performer. D Town/Wee3/Wheel City/Wheelsville/USD/Soul Wheel/MRC/Premium Stuff. Mike also worked with Carmen Murphy in the early sixties. When I spoke to the current owner in May 2001, he was aware that Mike had been a former proprietor, but regretted that any evidence had long since been removed! Sadly, Hanks met a violent end when he was shot dead by a youth outside the Twenty Grand. 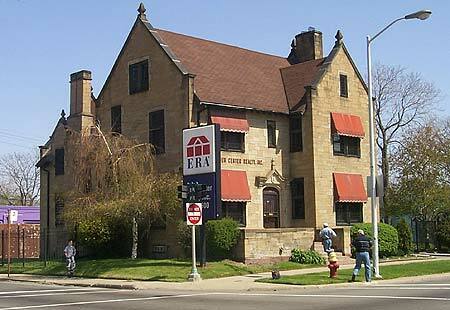 Just out of the picture, on the right, are the premises of the former Special Recording Studios, which were at 3026 East Grand Blvd.